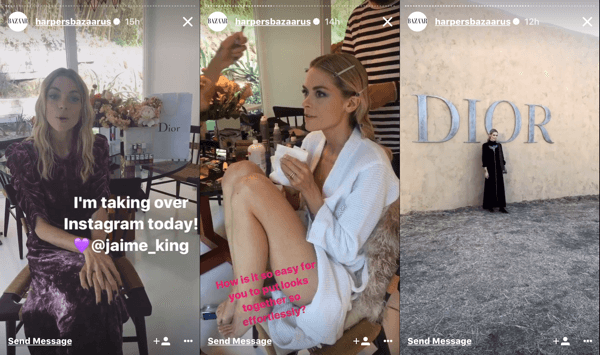 Does your brand have an established influencer marketing program, but you’re running out of ideas? The strategies you’re using are working fine, but you’re ready for something new, something outside the box. Or perhaps you’re just getting started with influencer marketing, and you don’t know where to start. Whatever the scenario, you’re in the right place. We’ve rounded up twenty proven ways your brand can work with influencers, with examples! We’ve got the basics in here, like your sponsored Instagram post or blog review, but we also have some definite surprises for you..
Read on and get inspired. It’s time to breathe new life into your influencer marketing strategy. This is the classic influencer post, so we’ll start here. Send influencers free samples, along with a few highlights about your brand and how you can help their fans. Then let them create a sponsored post that tells everyone how awesome you are. Rover.com is an online marketplace for pet-sitters. 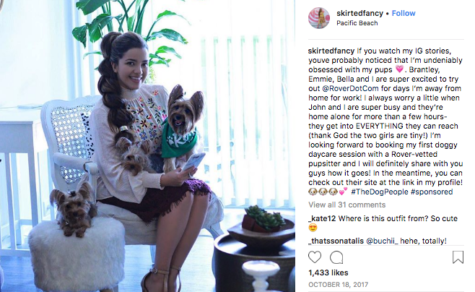 They partnered with Instagrammers who love their dogs to spread the word about how used their service made them feel good as a pet-owner. The blog post review is another classic influencer marketing gem, and for a good reason: it works! In-depth posts about your brand give influencer’s subscribers all the information they need to make them convert, packaged up in a post written by an influencer they respect and admire. 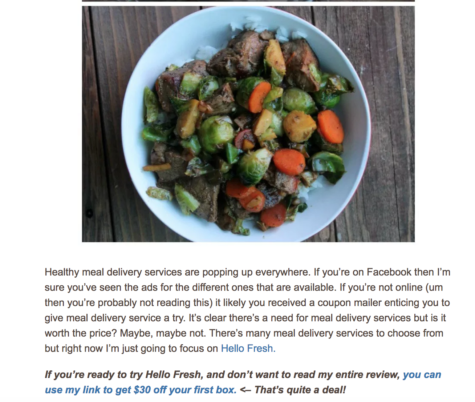 Meal kit delivery service, Hello Fresh, partnered up with food bloggers to promote their meals as healthy and delicious. Food bloggers have impressed their fans with the knowledge of cooking, meal prep, and more. An endorsement from them tells fans that they believe this meal service is just as good as any of their home-cooked meals. 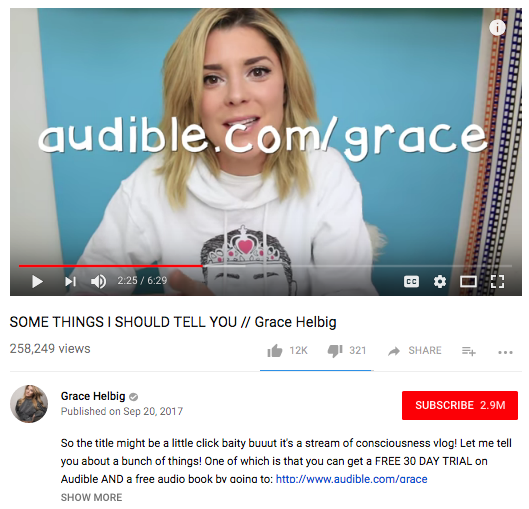 Audiobook company Audible has made itself known by sponsoring podcasts (another listening entertainment medium) and social media influencers like YouTuber Grace Helbig. As an author herself, the sponsorship is a natural fit. Request that influencers don’t just shoehorn your brand mention in. Ideally, your brand should make sense within the context of the post. Want your dedicated hashtag to go viral? Then work with influencers to promote your hashtag and your brand account. Luxury watch brand Daniel Wellington drummed up an army of fashion and lifestyle influencers. 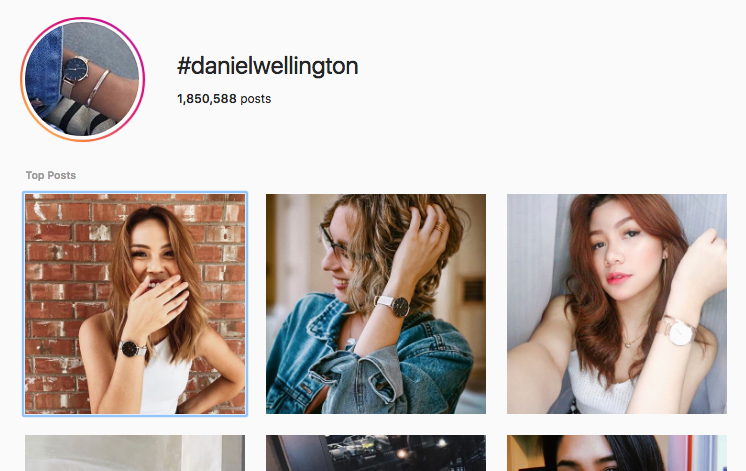 In just a few years, their branded hashtag #danielwellington racked up nearly 2 million Instagram posts. That’s just from working with influencers. After seeing an influencer use your hashtag, fans are not only more likely to purchase from you, but they’re also more likely to post using the hashtag themselves. In one year, Daniel Wellington enjoyed a 214% increase in profits and more than doubled their follower counts. When you invite influencers to your live events, amplify your efforts by filming part of the event for your social media. This way your fans who can’t make it still get to feel like VIPs. Starbucks held an event to encourage people to vote in the 2016 election. The event was orchestrated to position the brand in a positive light, but people don’t necessarily care about the excellent work your brand is doing. But if you invite a celebrity or two, though, they just might. By partnering with Common, Starbucks managed to drive nearly 200K views for the video. We're LIVE from Rufus King Park in Jamaica, Queens to Turn Up The Vote. Join us, Common and Howard Schultz to celebrate National Voter Registration Day. Let’s face it: seeing the same content over and over from your brand gets boring. Even if you switch it up, your voice will still sound the same. Surprise and delight your followers with an influencer takeover. Have an influencer manage your account for the day, posting live videos and sharing stories. Fans will appreciate this “extra” time and content from the influencer that they would not have received by following the influencer’s account alone. Plus, they know they have to keep following your account if they never want to miss content from the high-profile influencers you’re working with. If it’s conversions you want, try this: Along with a free sample of your product, let influencers pass the love onto fans with an exclusive promo code. 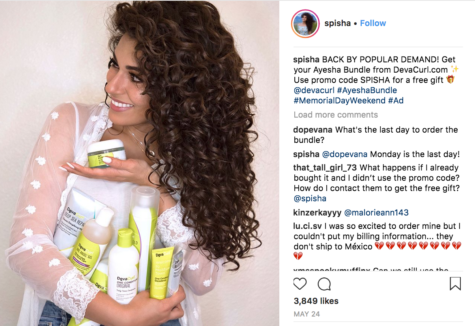 DevaCurl sponsored @spisha, an Instagram micro-influencer known for her gorgeous hair and style. The promo code was for a gift – just like the one she’s showing off in her post. The brand smartly used her Instagram handle as the promo code, so it was easy for fans to remember. Influencers love to offer their followers unique discount codes. Even though these posts receive the same “Sponsored” text as a regular ad, they look less like ads to users, since the poster’s name and photo are clearly from a person, rather than a brand. Plus, the “with [brand name]” text looks like a regular friend mention on Facebook. Featuring influencers on your website impresses customers. Highlighting them on your landing pages converts them. 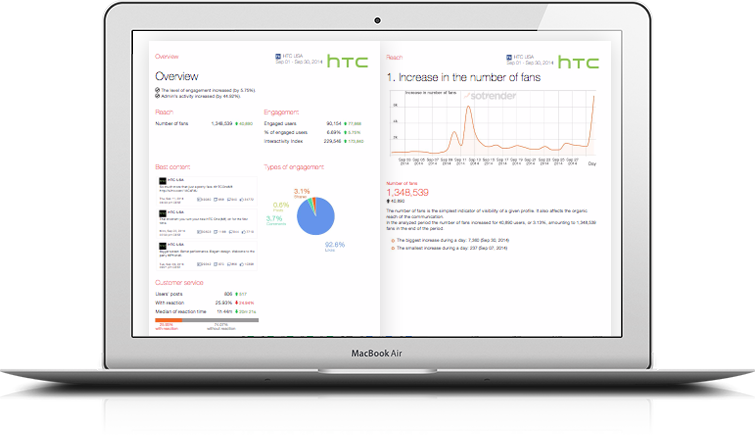 Let your influential customers do the selling for you as software company SEO for Growth did. Their homepage features a long list of testimonials. 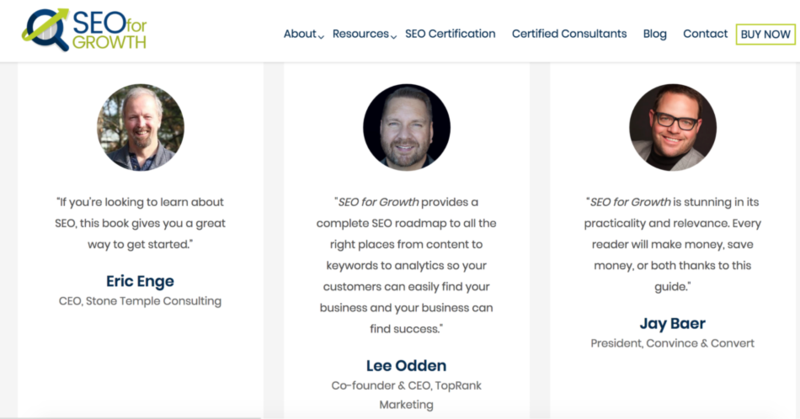 They took care to include testimonials from a variety of well-known experts their target customers look up to, such as the SEO gurus behind publications and research firms like Stone Temple Consulting, Convince & Convert, and Search Engine Journal. Fans are always excited to hear from their favorite influencer, but they’re not always thrilled to hear about your brand. Turn that around by interviewing influencers on your brand account. 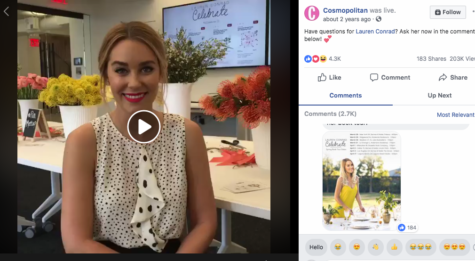 When Cosmopolitan Magazine interviewed celebrity influencer Lauren Conrad on Facebook Live, their fans could have their questions answered by Lauren. That kind of personal connection is thrilling for fans, as demonstrated by the 203K views this video enjoyed. What’s better than a live interview on social media? Allowing your fans to meet their influencer in-person, for free. 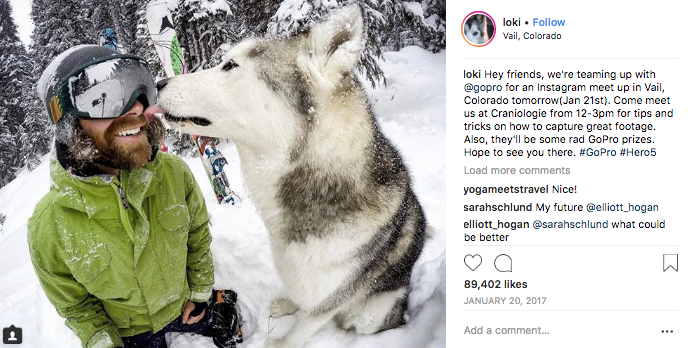 GoPro partnered with Insta-dog Loki the Wolfdog and his owner. When GoPro sponsored a fan meetup for Loki, fans responded to the tune of nearly 90K likes! Helping fans connect to their influencers endears them to your brand. You’re not just pushing products; you’re bringing people together. 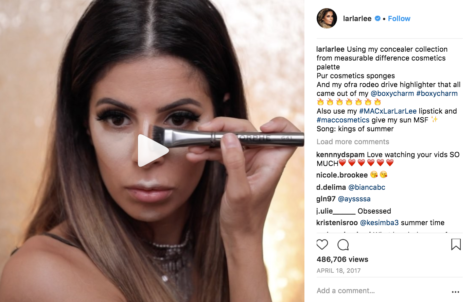 Many brands feature influencers in roundup posts on their site (think posts like “Top Beauty Influencers Share Their Favorite Skin-Care Tips”), but influencers can do their roundups featuring your brand. Encourage influencers to feature your brand alongside complementary products, rather than competitors. 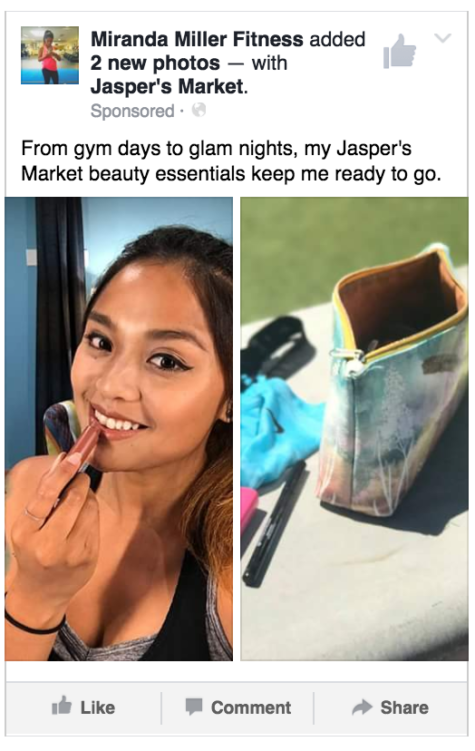 For example, instead of featuring competing skincare products, an influencer might do a post writing about her morning routine, which includes one skincare product, a hair-care product, cosmetics, and her favorite breakfast smoothie. We know from talking to our influencers that they love doing round-up articles and videos like gift-guides or top 10 product recommendations, which feature multiple brands for a single topic. We offer a specific feature which enables our influencers to partner with multiple brands and includes them in a single roundup post. 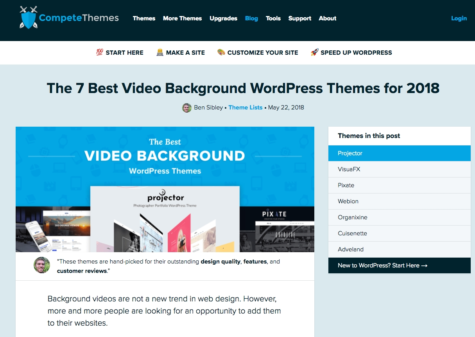 Readers gravitate towards these posts because they cover a broader topic than a review of a single product. Influencers reflect on your brand, primarily if you work with them over an extended period. Grow your brand organically by turning trusted influencers into ambassadors. Lululemon’s ambassador program includes a wide range of influencers, ranging from celebrity athletes to local influencers like yogis and personal trainers. Brand ambassadors get featured on the Lululemon website, promote Lululemon on their channels, and partner with the brand at community events. Lululemon chose these people carefully, ensuring that their values reflected the brand’s values. By aligning themselves with these influencers, Lululemon demonstrates to their customers that shopping with them is a way to emulate inspiring fitness influencers. Why not bring them into your product development process? MAC Cosmetics is doing just that. By involving the influencers on the product side, they become more personally invested in your brand. Their name, reputation, and revenue are all now intimately tied with your brand. As such, you can expect them to promote your brand heavily, even going above and beyond the terms of your agreement, to sell those products. Don’t hire an actor; use one of your influencers instead. 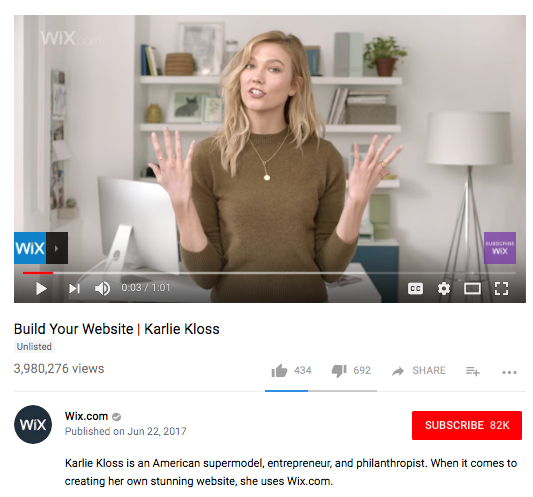 Wix partnered with model Karlie Kloss on an ad campaign. A model may not seem to make sense for a web hosting company at first unless you’re aware of KODE WITH KLOSSY – Karlie’s program to encouraging girls to enter STEM fields. Being good marketers, Wix didn’t isolate this partnership to a single channel. They also issued a press release about the commercial to ensure it got picked up and co-promoted with Karlie on Instagram and other channels. Plenty of brands host sponsored giveaways and contests with their influencers. These are popular because they drive a lot of frenzied excitement for your brand, along with the chance to be “chosen” by the influencer as a winner (even if it’s random, it still feels special). Last Super Bowl, Kraft took sponsored contests to a whole new level. 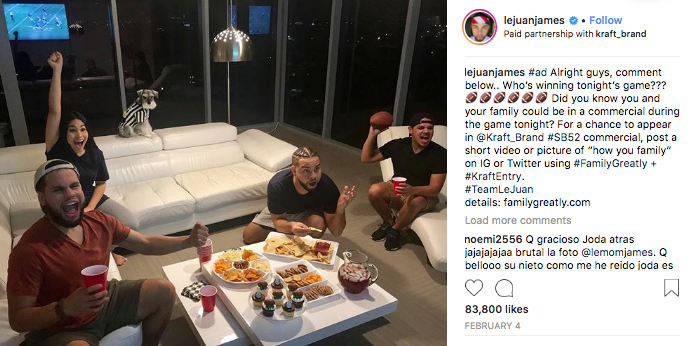 Their Super Bowl commercial featured Instagram and Twitter users enjoying football with their family. 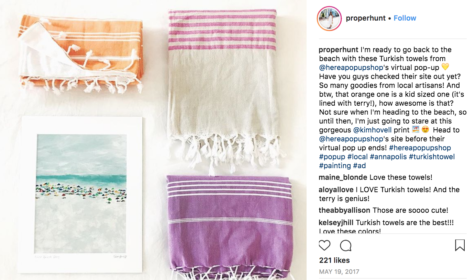 To get fans to submit their entries, the brand partnered with six Instagrammers, including two micro-influencers, to promote the campaign. Influencers will let the people know. 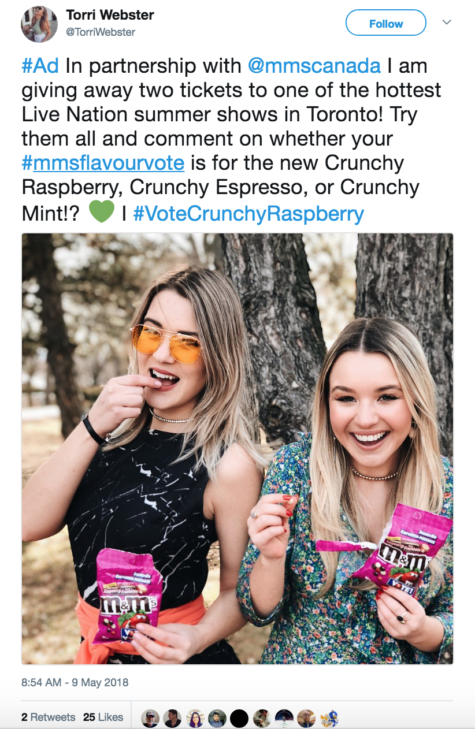 When M&Ms launched new flavors in Canada, they partnered with Twitter micro-influencers like @TorriWebster of 32.8K followers to share the news and drive the discussion. To win concert tickets, users had to tweet their favorite flavor using a branded hashtag – driving some free user research for the company, too. Still, need to drive more attention at your event? You can only reach so many people on your accounts. Leverage influencers to boost your RSVPs. 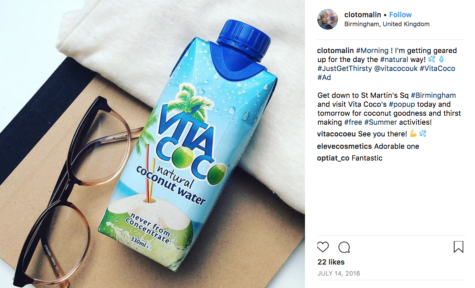 When Vita Coco hosted a pop-up, the water brand partnered with Instagram lifestyle micro-influencers like @CloTomalin to send interested shoppers their way. Timing is critical with this type of promotion, so make sure your influencers post ahead of your event. Pop-ups don’t have to be IRL (in real life). You can host virtual pop-ups (otherwise known as sales) on your website, and you can still use influencers to drive visits. Don’t just have influencers tell fans about your products. Have influencers show them how they can use them. Youtube influencers are an excellent medium for this. Neutrogena partnered with YouTube beauty vlogger MakeupByAlli to demonstrate how their makeup can be used for two separate holiday looks. The video is like her other video tutorials, but it features Neutrogena products exclusively. 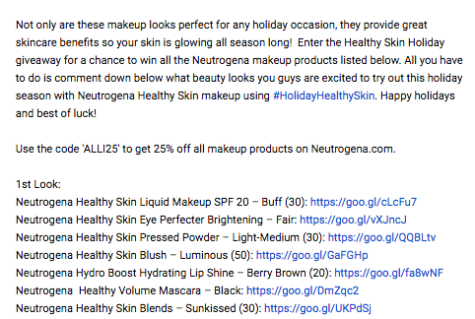 In the video description, Alli links to all of the featured products and includes her promo code, too. Hopefully, this post sparked lots of influencer marketing ideas in you. Now, turn those ideas into campaigns! Michael Quoc has over a decade of experience building and leading startups and product teams in the Silicon Valley and Silicon Beach / LA. Michael’s current project is Dealspotr, a new influencer marketing platform and social shopping community aimed at reducing the cost of micro-influencers marketing campaigns. On Dealspotr, brands can search and connect with thousands of influencers and bloggers for free, and run low-cost influencer marketing campaigns.